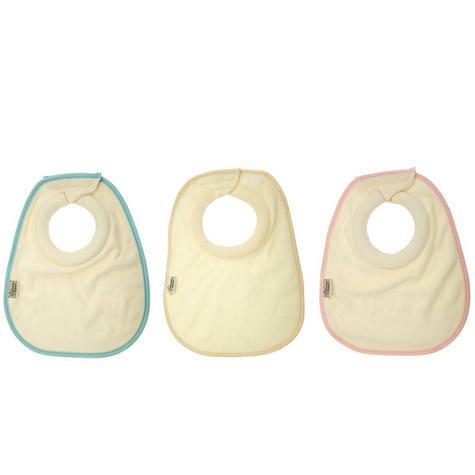 Protect baby’s tender skin with super-absorbent Closer to Nature Milk Feeding Bibs. 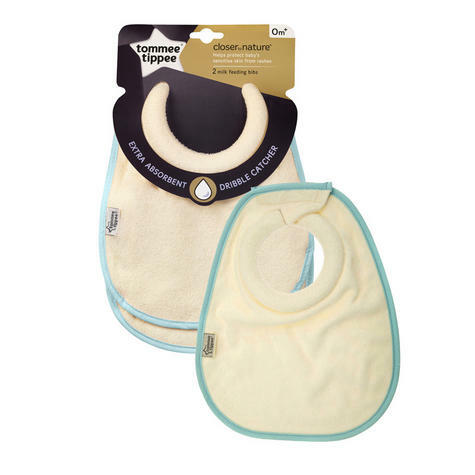 Closer to Nature Milk Feeding Bibs have a unique dribble catcher that absorbs moisture, helping prevent rashes on baby’s sensitive skin. Our Milk Feeding Bibs are super-soft on tender young skin, yet work really hard to soak up dribbles and spills before they can cause a rash. 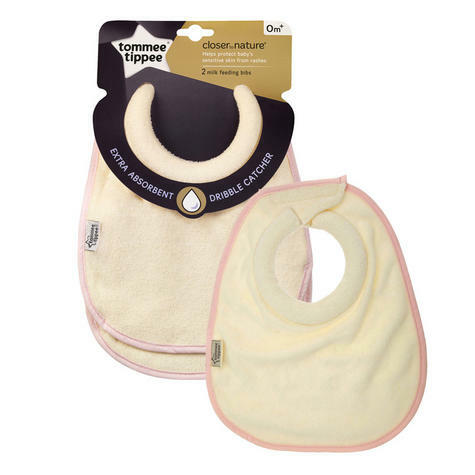 Perfect for those first milk feeds, they’re also ideal for the teething stage. Classically simple and will match many of Baby's outfits. 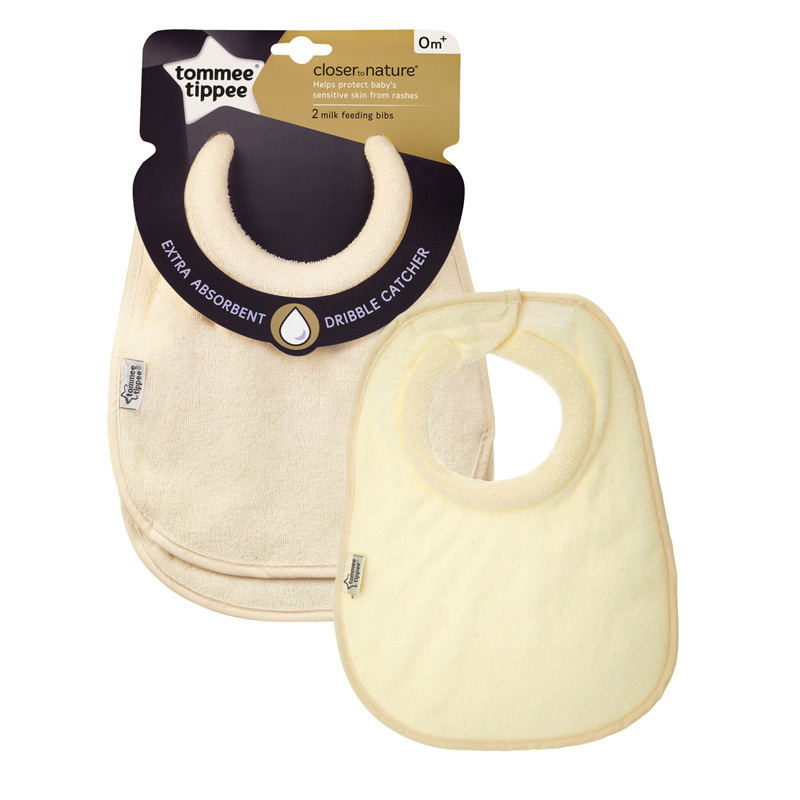 Unique Dribble Catcher - The Closer to Nature Milk Feeding Bib has a unique dribble catcher which helps absorb dribble and milk to protect babies’ sensitive skin. 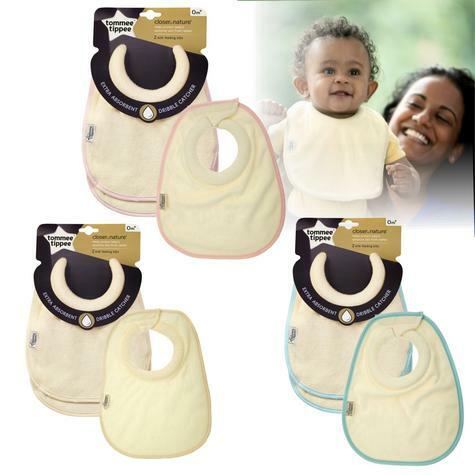 Selling price is for only one pack.